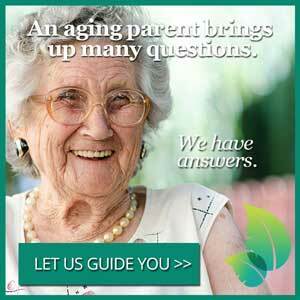 A higher level of care than assisted living for those not needing or wanting a nursing home. The Oasis at Dodge Park is for seniors who need help with their activities of daily living and want luxury, convenience, and peace of mind that a secure setting can provide. We provide a better solution than assisted living including the Alzheimer, Dementia and Memory Care and our monthly free Support Group. When you, or a family member, need a home that offers 24-hour supervised management in a warm and friendly home-like environment, whether for a short term stay after an illness or hospitalization or for a long term stay, think of the Oasis at Dodge Park. Oasis at Dodge Park is a higher level of care than assisted living for those not needing or wanting a nursing home. Author of A Practical Guide for Alzheimer’s & Dementia Caregivers and Co-owner of Dodge Park Rest Home and Day Club and the Oasis at Dodge Park , Micha Shalev has written the definitive guide for MA families looking to select a Care Facility for their loved one. Their jobs are no doubt very challenging at times and not everyone is cut out for that line of work, so we would like to commend your organization for putting together a staff to be very proud of! Our mother has been blessed to have received such excellent care from the staff at Oasis, and we would like to give special thanks to Anthony, Natasha and Treasure . They are a credit to their profession and show such a high level of professionalism, warmth and devotion. Again, thank you for providing first class care and for taking such wonderful care of our mother. A licensed nursing staff and a medical director, who are available 24-hours a day / 7-days a week, allows the Oasis at Dodge Park to provide a very unique level of care – more than that ordinarily found in the average assisted living facility – for those who need more care but who are not yet ready for a nursing home. The Oasis at Dodge Park is a better option than Assisted Living both for level of care / services as well as pricing. Find the peace of mind you’ve been looking for at the Oasis at Dodge Park. Receive 24 months of no rent increases guaranteed when you become a new resident at Dodge Park. You’ve made a lot of smart moves in your life. Here’s the smartest one yet!